I just found this little tidbit in an email I wrote to myself this past December, in an attempt to start a short horror/comedy Christmas story. It’s only the first two paragraphs, but I figured I’d share and if there’s any interest, I might finish it this year. So anyway, here’s the start of The List. A tremendous sense of dread hung over the North Pole. He’d made his list, checked it twice, thrice, but no matter how many times he looked it over the impossible facts remained. The devil’s son had been good that year. With his split tongue, the child relayed his wishes and with his clawed little fingers, he’d written his letter and sent it off to a land far more frigid than his own, where the peaceful sounds or the night are muffled by a blanket of snow rather than a chorus of screams and agony. But the child could not be held accountable for his father’s actions. He’d resisted temptation and for the first time in his considerably short life he’d skinned no cats nor set fire to any lost souls. This year Santa Claus was coming to town, bringing happiness and joy to an excited little boy with hoofed feet and an unnaturally warm heart. I don’t typically start things without completing them–aside from this story, a film review sitting in my drafts, and one or two other things–but those one or two things will become novels soon enough. Just need to finish The Skin Collection first, which has been the most difficult book I’ve ever written, through the most difficult time of my life. As a result of these real life “horrors” I’ve been dealing with for the past 3 years or so, I’ve been suffering from situational depression and am seeing a therapist twice a month. I think it’s helping, but if you’re wondering (or if you even care) why the blog’s been slow, that’s why. At least, that’s the excuse I’m using. 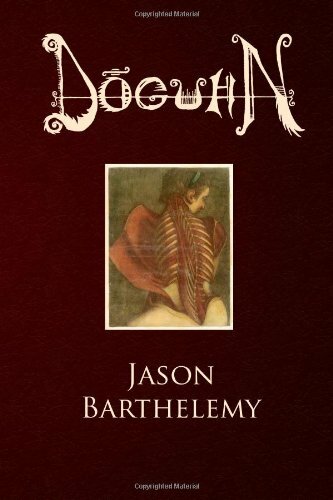 This entry was posted on Thursday, April 12th, 2012 at 7:11 PM	and tagged with depression, doguhn, horror, The Lost Pages of Trevor Sunburn, The Skin Collection, writing and posted in Dreaditorials, Writing Samples. You can follow any responses to this entry through the RSS 2.0 feed.